This tyre buying guide will help you understand which tyre brand and tyre type should you select for your car. In the recent times, it has been observed that car buyers have become significantly more cautious towards safety. However, when you talk about safety, one starts visualising things/features like air bags, ABS, EBD, built-quality and others. So is the safety restricted only to these factors, or there is more? Yes, there is, and it is the ‘tyres’ of a vehicle. Tyres are the only contact patch to the road surface thus a lot depends on the upkeep of the tyres and the fact that they need replacement after a certain period. Usually, depending upon the kind of vehicle you drive be it car or SUV, the replacement schedule may fall anywhere between 40,000-70,000 kilometres. But, the million dollar question is that, when you decide to replace your car tyres, what all options are open for you? There are as many as 14 tyre brands in the small car, hatchback, sedan and SUV segment, besides other commercial vehicle tyres available in India. Here due to minimal tread height hatchback cars and compact sedans witness more frequent replacements compared to the SUVs, which have greater tread depth. 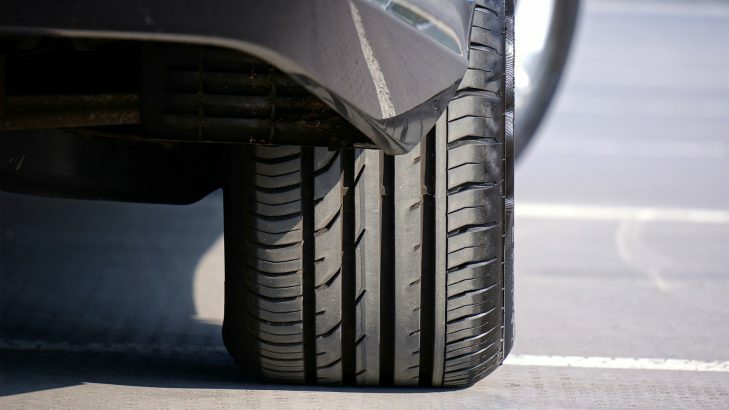 So let’s have a look at some key aspects that you should consider while buying a tyre for your car. If you have a budget constraint and you are looking for a light-on-pocket tyre, Indian tyre brands can be a decisive choice rather than the foreign brands, which are costlier than the former. MRF, Apollo and JK tyre are the famous desi tyre brands you can opt for. Moreover, if you are looking for something more cheaper than Indian brand, Chinese solution is always at hand. Though there is not much of a difference in the prices of Indian and Chinese tyres, it’s merely few hundred bucks here and there. Here, China-made tyre brand like Maxxis can be an acceptable choice. Starting with the low-cost option available for a hatchback like Maruti Alto or Maruti Wagon R (13-inch rims), there is Maxxis MA-P1 155/65 R13 that is priced at INR 2,400 per tyre. Slightly cheaper option than Chinese in this segment is Korea-made Nexen tyre at INR 2,200 per tyre. Indian brands like JK Tyre and MRF ZVTS fall between INR 2,600 per tyre to INR 2,800 per tyre. International brands such as Michelin XM2, Yokohama A-Drive and Bridgestone Turanza carry the expensive-most label in this segment with prices falling between INR 2,800 per tyre and INR 3,200 per tyre. If you are in search of sedan tyres for the likes of Honda City and Hyundai Verna, which carry 15-inch or 16-inch rims, then be ready to fetch a bit more. Honda City tyres from Indian brands open at INR 3,600 per tyre for Apollo Amazers, whereas for a premium brand like Michelin XM2 it goes up to INR 5,100 per tyre. Meanwhile, for the 16-inch rim of Hyundai Verna, JK Tyre Vectra will cost about INR 3,800, whereas internationally acclaimed Michelin Energy XM2 can cost up to INR 5,200. There are a plethora of brands available in the SUV category for vehicles like Tata Safari Storme, Mahindra Scorpio and Mahindra XUV500. Starting with the cheapest option, Chinese and Korean brand tyres are available between prices INR 6,300 to Rs. 6,500 per tyre. Famous Indian brand for SUV tyre, MRF Wanderer comes at INR 6,700 per tyre. Moreover, the company-fitted tyres like Bridgestone Dueler HT that come with the Tata Safari or Mahindra Scorpio cost about INR 7,500 per tyre. Foreign brand all-terrain type tyres from Yokohama are priced around INR 7,200 per tyre. On the premium performance front, there is Michelin or Pirelli Scorpio that cost nearly INR 8,800 per tyre. If you are an extensive highway runner looking for performance then you can opt for a unidirectional tread pattern, which reduces road noise and provides with optimum surface grip. For Maruti Swift, Honda Jazz, Hyundai i20 and other compact sedans like Maruti Swift Dzire, Ford Aspire or Hyundai Xcent high-performance tyres come in the form of Goodyear Duraplus, Bridgestone Turanza or Michelin Energy XM2. These tyres cost between INR 4,600 and INR 5,200 per tyre. These performance-specific tyres are endowed with softer rubber compound for enhanced grip and low road noise. Depending upon your usage you can choose SUV tyres. For e.g. if it is mostly highway, then you can pick an HT (Highway Terrain) tread pattern for better results. In this category, some hot picks are Bridgestone Dueler, Pirelli Scorpion and Michelin Latitude. With low rolling resistance on their side, these tyres are the best choice for long-route highway drives. If off-road driving is your genre then you will require all-terrain tyres for better on-road and off-road conduct, alongside superior grip and durability. Remember, going for all-terrain tyres means an increase in road noise and slash in comfort. Some of the well-known all-terrain tyre brands include Apollo Hawkz, MRF Wanderer and Yokohama Geolander. On the price part, they are a little more expensive than HT rated tyres due to thicker and wider tread blocks. If comfort in your car is on the top of the list, do not go for low-profile tyres, as they may provide you with stiffer ride due to thin rubber. Here, looking for tyre sizes that sync with the car’s OEM specifications can be the right choice. A tyre with softer compound will provide you with excellent road grip and a comfy ride, but then such tyres may not be that durable. Softer sidewalls add more suppleness and cushion to the car. For premium sedans like the Honda City and premium hatchbacks like Hyundai i20 and others, Goodyear GT3 and MRF ZV2K can prove to be the most comfortable option with good cushioning. For premium yet hard wearing MPVs like Toyota Innova or Maruti Ertiga, which are generally seen as people movers and need high comfort aspect, Michelin Primacy can be the ultimate choice with price label reading INR 6,700 per tyre. Or else, if you are looking for the goodness of the two, i.e. performance and comfort, in that case, there can’t be a better choice than the Goodyear GT3 priced roughly around INR 5,300 per tyre. If you are someone looking for longevity and mileage in a tyre, and comfort, performance and price are not the main concerns, then you need to look at long life tyre options. Keep in mind that these tyres are built using harder compound, with which you may not be able to extract great ride quality as a whole, however extended life will be guaranteed. Goodyear Ducaro Hi-Miler and Bridgestone B250 can be better choices in this category that costs about INR 2,700 per tyre for a Maruti Wagon R, Hyundai Eon or Maruti Alto K10. On the minimal side, these tyres last up to 45,000 kilometres under normal use for a hatchback. Moreover, Bridgestone B250 is offered in varied sizes and is the OEM for the hot-sellers Tata Tiago and 2017 Maruti Dzire. Due to thicker rubber tread, all-terrain tyres for the SUVs tend to last long. Here one of the most popular these days is Yokohama Geolander AT, which can easily stretch up to 70,000 kilometres on a Tata Safari or Mahindra Scorpio. On the other side, the Yokohama Geolander HT (meant for highway drive) may only last up to 60,000 kilometres. With so many brand choices and prices around tyre, buying can be a hectic task. If you are confused on which tyre to buy and need expert guidance in choosing the right tyre for your vehicle. You can either call or post a query on Tyremarket.com and our tyre experts at Tyremarket will guide you to make an informed decision based on your needs. DISCLAIMER – The prices mentioned above may differ from the current prices of the products. Please refer to the product’s respective page for the exact price or call our customer care +91-8088090090. Chevrolet Tavera Neo comes with the tyre size 205/65 R15. To buy any of these tyres, you can call us on +91-8088090090. I have Alto 800 2012 model. It had JK Tyre Ultima XP. The car has already run 37000 and 1 trye needs replacement. Which one to buy as Ultima XP is not available anymore. We frequently go for outing in our car only. So considering highway running also, is it better to go with 1 tyre purchase or set of 2 or 4. and of which brand ? We would suggest you to change either 2 or 4 tyres. If you are replacing 2 tyres then install the new tyres on the rear wheels and move the worn tyres to the front. New tyres with deeper tread on the rear wheels will give your vehicle better control and avoid hydroplaning. Considering your usage, we recommend you to go for Bridgestone B290 tyre. 1) Steering Response: Continuous nylon wrap that provides a higher level of uniformity, helping the tyre hold its original shape and enhancing performance. 2) Quiet Performance: It gets 5 separate block pitches, which are arranged in a random sequence around the tyre to significantly reduce noise. You can read full review of Bridgestone B290 Tyre here. Hi I have Maruti Ertiga VDI (2015) model , I am using this vehicle for transport. It cross 80000KM could you please suggest best tyre for it. Here is your Maruti Ertiga tyre buying guide. Please have a look at this Maruti Ertiga tyre buying and you can consider buying either of the mentioned top 5 tyres for Maruti Ertiga. Or else, feel free to contact us at our customer support number +91-8088090090. If you are planning to change 2 tyres instead of 4 then you should check whether the remaining 2 tyres which will not be replaced, are in good condition. If you find the remaining two tyres in a perfect condition, then we suggest you fit new tyres to the rear. And if the remaining two tyres are not in good condition, get all the 4 tyres changed. Best tyre for captiva ? If the tyre size of your Chevrolet Captiva is 235/60 R17 then you can go for Michelin Latitude Tour HP. If you need further assistance on tyre shopping, please reach out to our customer support on +91-8088090090. Hi, I need to replace all four tyres for my ertiga as I plus. The stock tyres are Goodyear, can you please suggest best tyre? If we got you right, you’re looking to upsize tyres for your Maruti Ertiga. And we would recommend you to either upsize to 205/55 R16 tyres or 225/50 R16 tyres. For 205/55 R16 size, we recommend you to go with Pirelli R_F_P7_CINT 205/55 R 16 Tubeless 91 V Car Tyre as this is a run flat tyre. If in any case the tyre gets punctured, the vehicle can run up to around 100 kms. For 225/50 R16, you can go for Continental CONTI MAX CONTACT MC5 225/50 R 16 Tubeless 92 V Car Tyre. Out of both the upsizing options, we recommend you to go for 205/55 R16 sized tyres as it will help you gain better fuel efficiency.